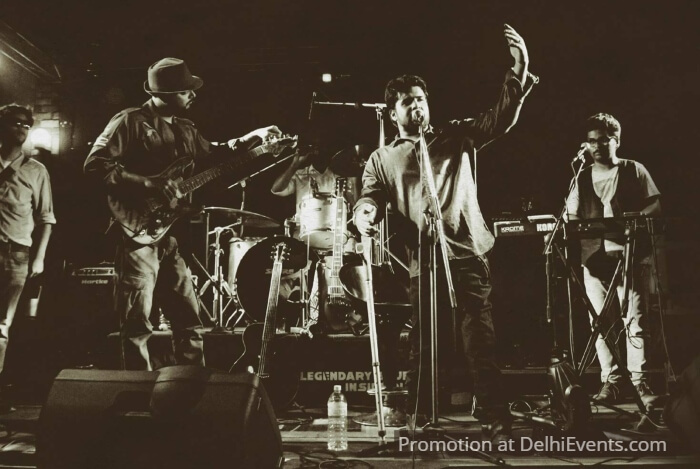 Big Bang Blues, from New Delhi, India, is influenced by genres of Blues, Rhythm and Blues, and Rock and brings a wide repertoire of music to the stage. The six-piece band formed in 2009 creates its sound from the diverse influences brought in together by the six members. BBB have performed for over 100 shows which include the prestigious Cotai Jazz and Blues Fest’13 (MACAU), Mahindra Blues Festival (Mumbai, India), Blue Frog (Mumbai and Delhi), Hard Rock Cafe (Delhi), High Spirits (Pune), Bflat (Bangalore), The Blend (Chennai), Kasauli Rhythm and Blues Festival’13, Aquajam Festival, Ragasthan Festival, Escape Festival, Friends of Music’14, to name a few. BBB performs regularly across various live music venues in Delhi and other metropolitan cities in India. In October, 2012 Big Bang Blues released their debut album titled, “Bigger than Blues” which was well received and reviewed by Rolling Stone Magazine, Rock Street Journal Magazine, Eclectic Vibes Magazine and What’s the Scene. This was followed by a pan India tour which was promoted by Rolling Stone Magazine and other media platforms. In 2015 the band recorded and released ‘Easy’ and ‘Speeding Jenny’ as singles. Having travelled across India and received notable recognition, Big Bang Blues would like to expand its horizons and perform in other countries. At present, BBB is looking for opportunities across Asia in various Blues and Jazz festivals.